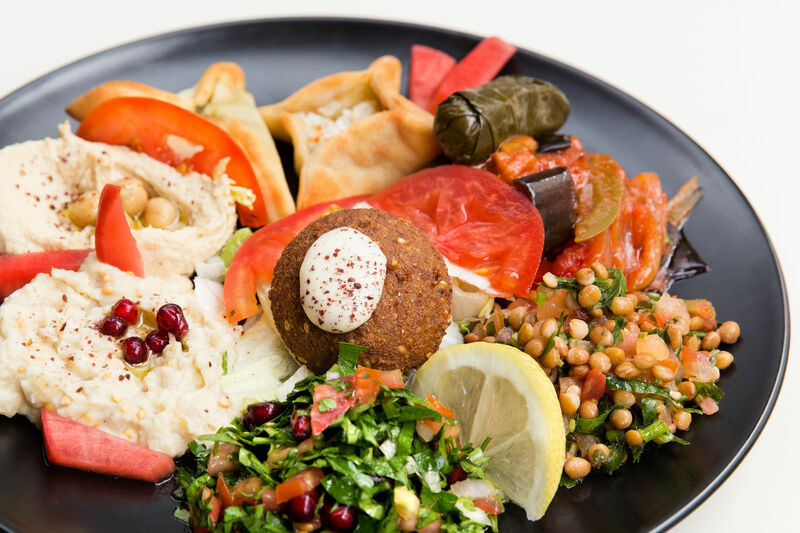 Spend an evening eating traditional homemade Lebanese cuisine in a friendly atmosphere. We welcome you with open arms and mouth-watering dishes at our restaurant Le Damasquino, where you can enjoy great food and an authentic atmosphere. We also offer oriental food. Our oriental cuisine gives you authentic traditional dishes to enjoy. It's our passion to serve you only the best – so stop by for an amazing lunch or dinner. A great variety of dishes without long waiting times – what could be better than our delicious buffet? We have free WiFi so you can spend time online doing your favourite things or share your meal with the world. Did you know our kitchen also prepares halal, vegan and vegetarian specialties? You'll have peace of mind when you dine with us, knowing that all your dietary needs are taken care of. For families with baby strollers or customers using wheelchairs, our restaurant is barrier-free to suit your needs. To ensure you get a table, make your reservation with us today. All you need to do is contact us via telephone by calling 0953022084 or e-mail kinan.iyadah@hotmail.com to reserve a table. At our restaurant you can pay cash or with bank transfer, MasterCard, contactless payment, VISA, voucher, debit card or Ticket Restaurant®. No time to dine with us? No problem, order our food for takeaway and enjoy it in the comfort of your own home. Hosting an event and need a caterer? We can help, to find out more get in touch with us today. Our venue is also available for private events, simply contact us for further information. We are known for our stunning wedding parties and can help you make yours memorable for you and your family. Come and check out our location as the venue for your special day. You can come by every day, we're open all week.